The lush vineyards. The gently rolling hills. 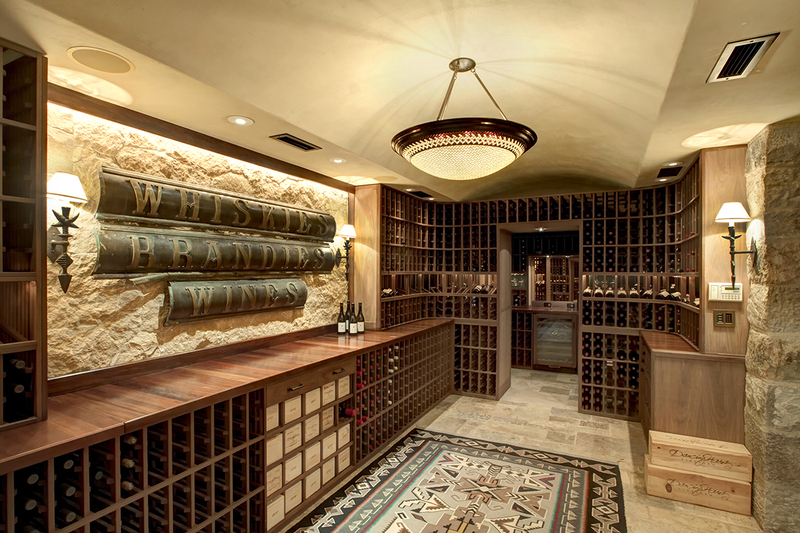 The rich architecture teeming with authentic details seemingly transported from the Italian countryside’s most impeccable villas. 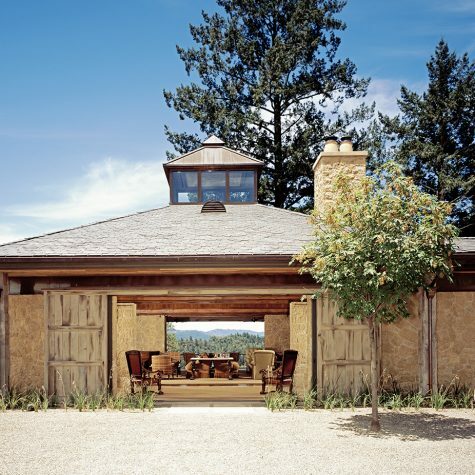 It’s the real-world manifestation of the Tuscan dream, yet sculpted into a prestigious Napa Valley neighborhood. 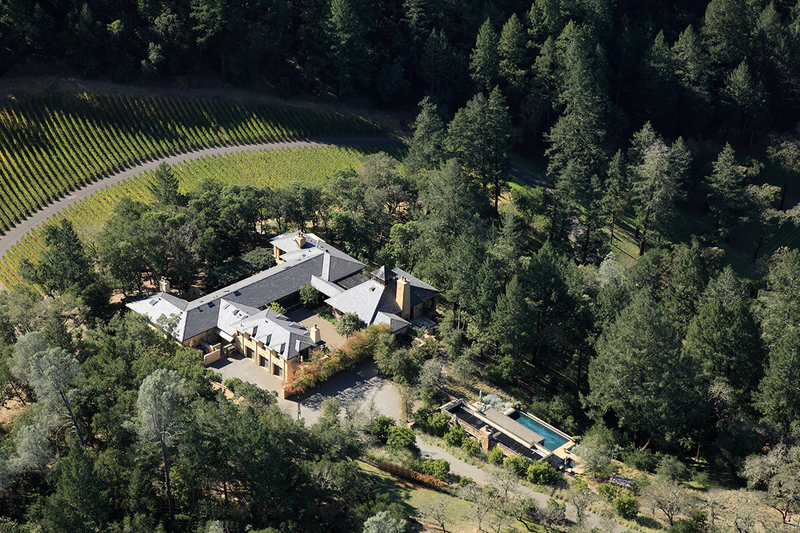 This Napa Valley dream St. Helena estate, recently listed for $14 million by Cyd Greer of Coldwell Banker Brokers of the Valley, pays homages to that dream in magical form. 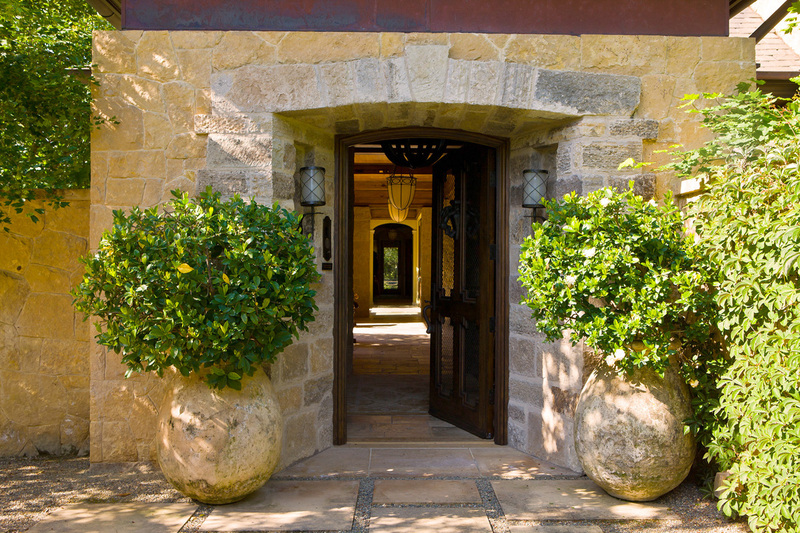 Resting on 40 acres of exquisite grounds, the expansive estate is highlighted by a 8,659-square-foot home, with a unique blend of privacy and accessibility, breathtaking views inside and out, and updated amenities juxtaposed against the authentic Tuscan feel. 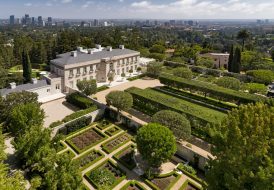 The estate’s main residence was designed by famed American architect Howard Backen in a U-shape, with a spacious inner courtyard served on either side by pocket doors that push aside, creating unmatched indoor-outdoor living opportunities and direct access to public rooms. 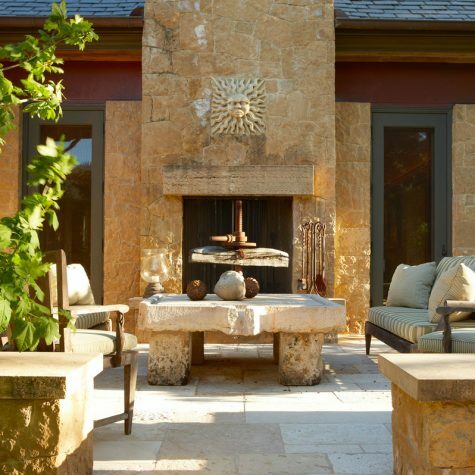 It’s the ideal spot for entertaining or simply enjoying the surroundings. Dinner is served in the formal dining room, where a handful of the home’s many hand-stenciled, recycled beams help frame postcard views. 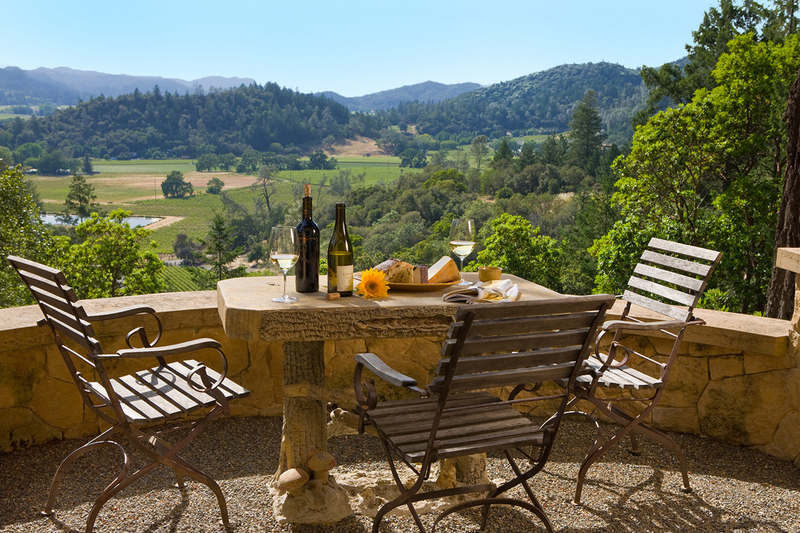 Or, move to the trellised outdoor dining terrace for a more casual setup and more of those idyllic vistas. 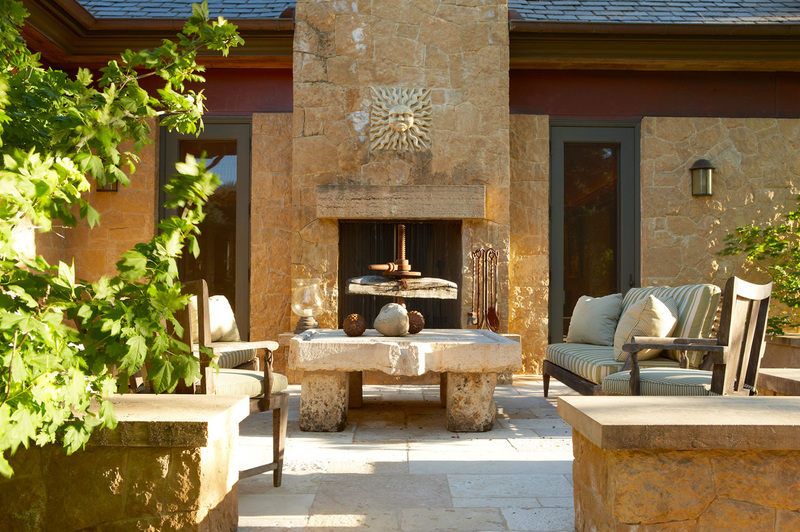 Special details abound throughout the home, from the walnut, antique French limestone, and fieldstone floors, to the stone and plaster walls, screened porch and built-in window seats. 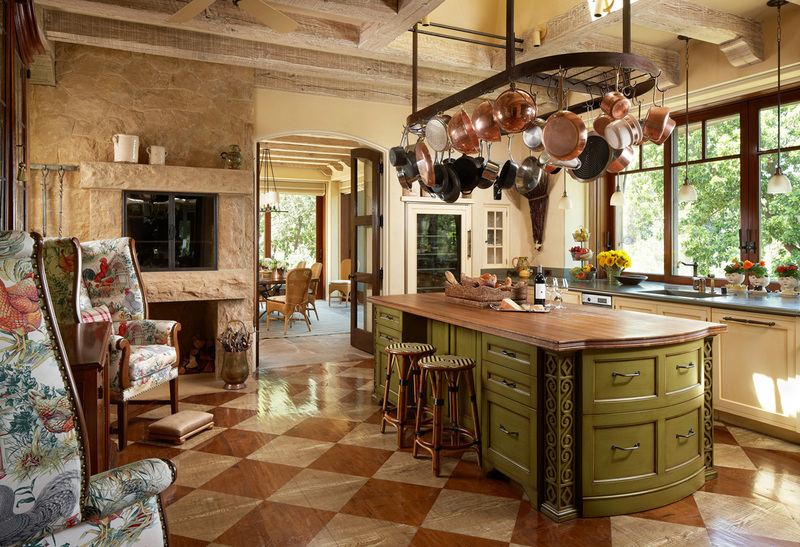 And then there is the gourmet island kitchen, a showplace with its custom cabinetry, Wolf and Sub-Zero appliances, bronze hood, professional open rotisserie fireplace, butler’s pantry, wall of picture windows that invite the glory of nature right into the chef’s domain, and adjacent breakfast room with terrace. 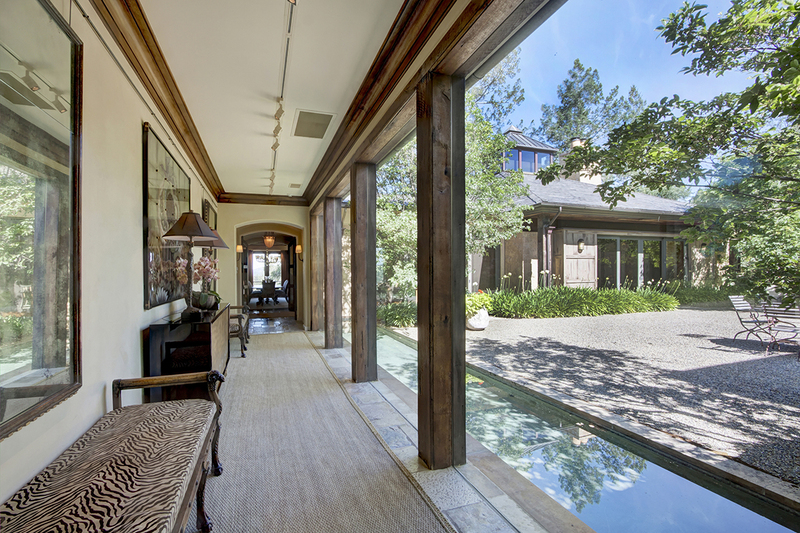 Stroll along the glass arcade with a peek out to the parallel reflecting pond, and you arrive at the home’s private bedroom spaces, highlighted by the sumptuous master suite. 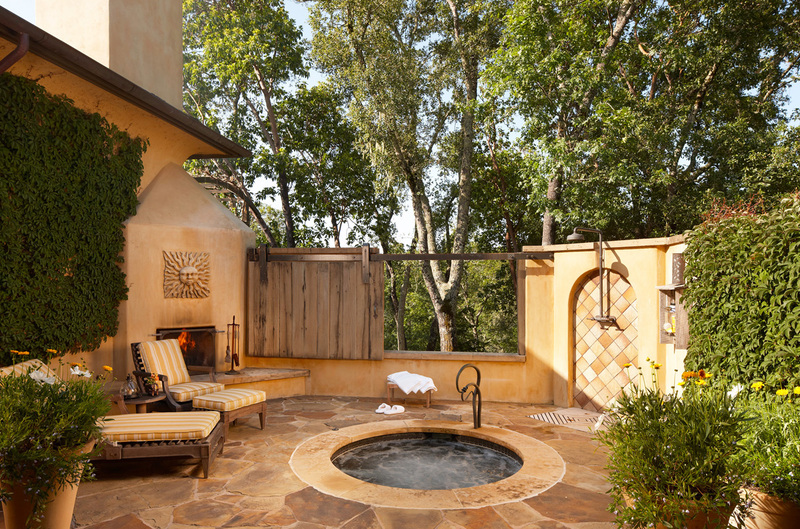 Enjoying its own private wing, the suite features luxe sleeping space, an adjoining office, and a romantic courtyard with a spa, fireplace, outdoor shower and lounge area, as well as relaxing views of twisty oak trees and hillside vineyards. 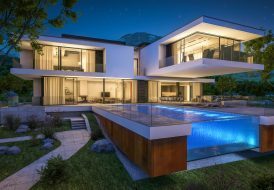 In the master suite, his-and-her vanities with marble countertops join an oversized steam shower, dual water closets, two walk-in closets and a dressing area with custom chandelier. 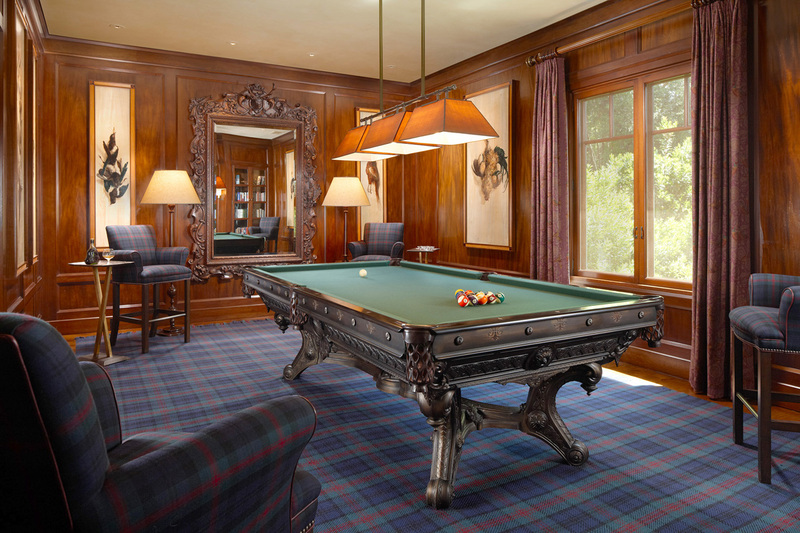 The main residence also features a handsome library, a billiards room, a large study, an exercise room; a guest suite with private view balcony, a garden prep room and a 3,700-bottle wine cellar. The property has also been outfitted with a board-and-batten guest house with kitchen and a rustic pool house with full bath and infrared sauna. 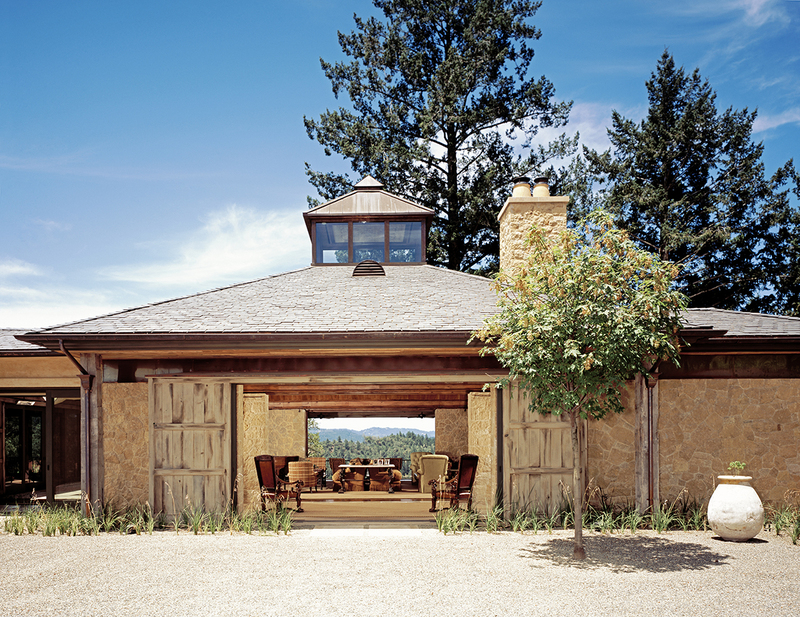 Beyond the many terraces that overlook the property and enjoy the spoils of Napa Valley living, the 40 acres also encompass a heated Pebble Tec infinity edge pool, a spa, a bocce court and lush California-style gardens by noted landscape designers Ron Lutsko and Claudia Schmidt.